The fundamentals for the US economy remain sound. The recovery in financial conditions, aided by the Federal Reserve’s pause in hiking interest rates, suggests that moderate growth around 2.1% will continue through 2019. In the first quarter of 2019, we expect GDP growth to slow to 1.6%, largely reflecting a two-percentage-point slowing of personal consumption expenditures. Labor markets are expected to tighten somewhat further, with the unemployment rate expected to reach a low of 3.6% this spring, where it will remain through 2020 before beginning a gradual rise as growth drops below trend. Recent volatility in financial conditions has been fed by slipping confidence in the strength of the global expansion. That stems in part from signs of slowing growth abroad, rising uncertainty over a trade war, and heightened fears that US rate increases will slow growth more than previously expected, perhaps culminating in a recession. Inflation by a variety of measures slipped from the first half of last year to the second half, thanks in part to steady-to-declining oil prices after a jump from 2017 levels, and a slowing in import price inflation, as the dollar rose sharply over the year. 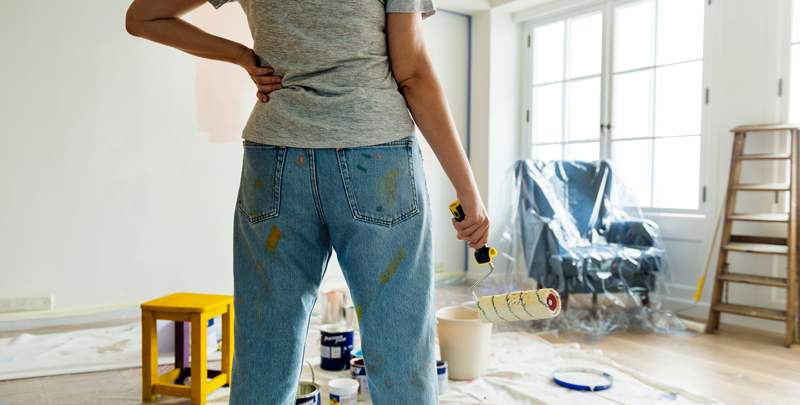 We expect growth in home improvement product sales to slow slightly over the next few years, averaging 4.0% in 2020 through 2023. Professional Market growth is expected to be stronger throughout the forecast horizon on average by 2.0 percentage points over 2020 through 2023. Comments on "Home Improvement - Still Growing in 2019"